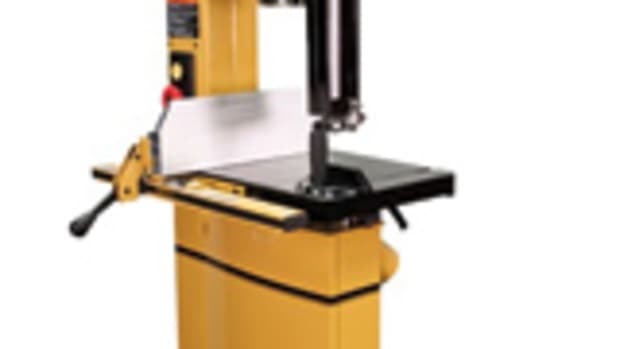 Powermatic has added the PM1000 table saw, offering many of the same features found on the company’s PM2000 and PM3000 table saws, with the added benefit of operating off 115-volt service. 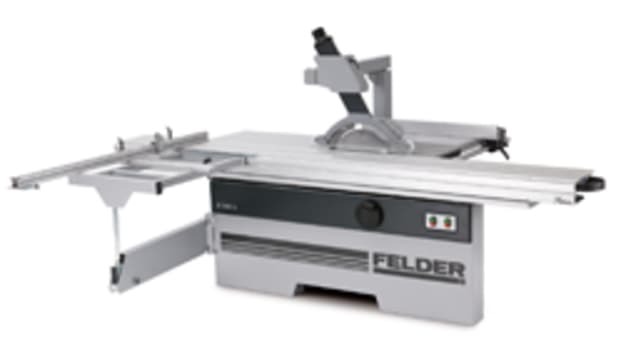 The 10” PM1000 is available in two models with cast-iron tables and extensions. 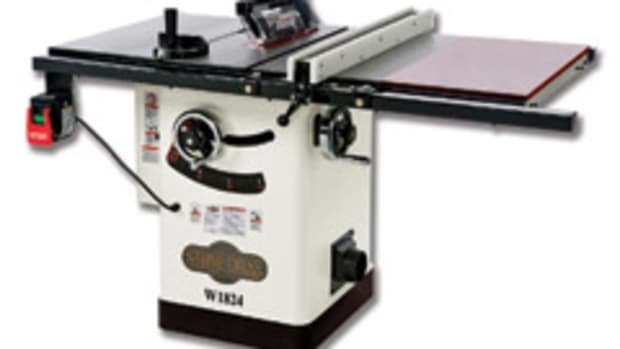 Model 1791000K offers a 30” rip capacity and model 1791001K has a 52” rip capacity. Both models feature a blade guard assembly and riving knives to help reduce kickback. They also feature a 1-3/4-hp, single-phase induction motor and a Poly-V belt drive system for a smooth transfer of power and reduced vibration, according to the company. 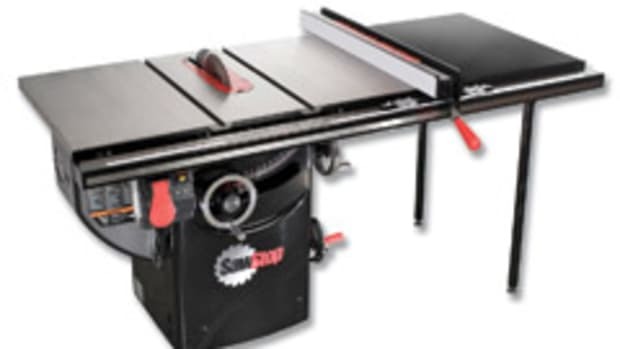 Other features include an oversized push-button on/off switch below the table top, which has a removable magnetic key to avoid unauthorized use of the saw. 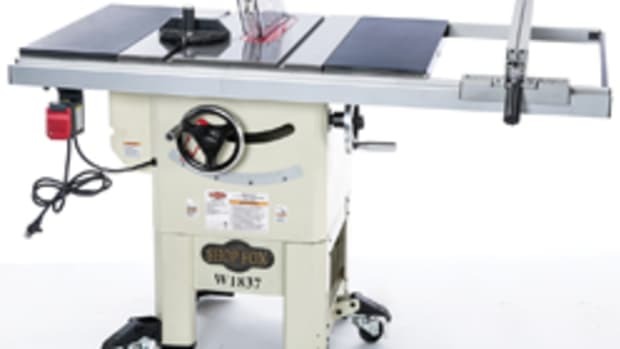 The saw’s cabinet base is fully enclosed with a 4” dust port at the rear and a hinged motor cover for easy access. 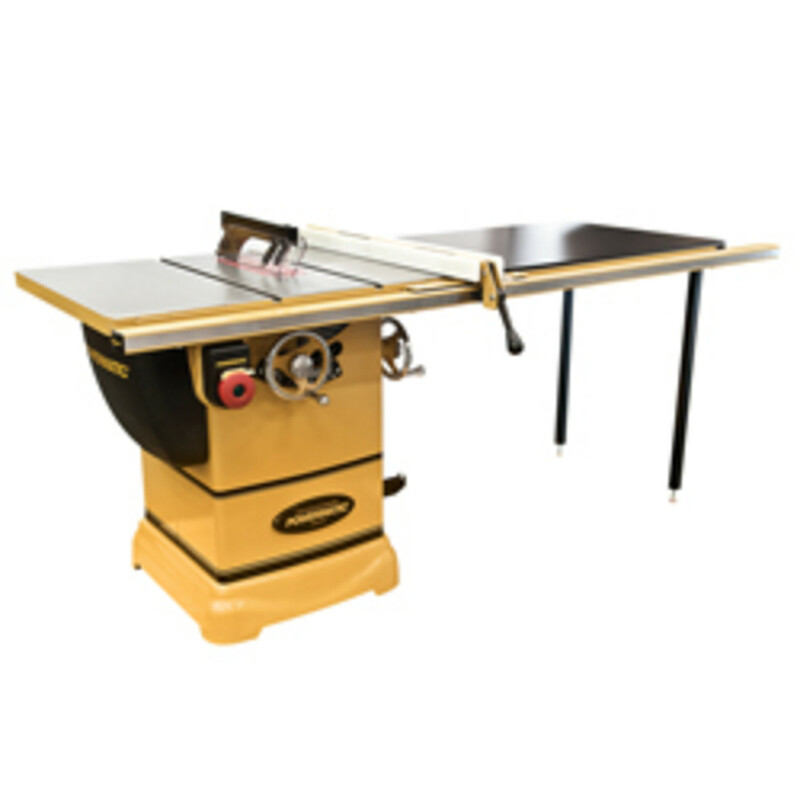 Two 7” chrome-plated and cast-iron hand wheels allow the user to set the blade height and bevel, while a push-button arbor lock allows blade changes to be made with an included single wrench. 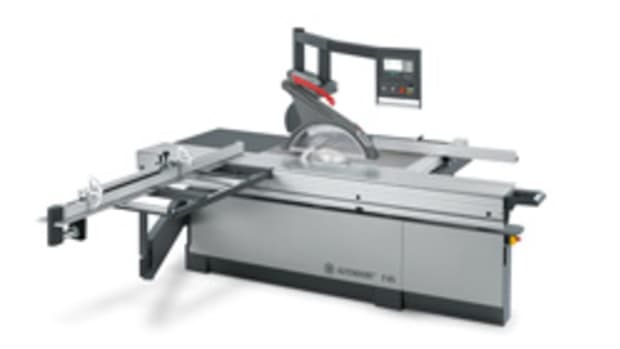 The saw’s T-slot channels on either side of the blade support the supplied 60-degree miter gauge with preset detents at 0, 30 and 45 degrees. A pair of expander mechanisms in the gauge’s guide bar helps eliminate side-to-side play in the T-slot, plus the guide bar has a disk that engages the channel to prevent it from lifting during a cut, according to the company. 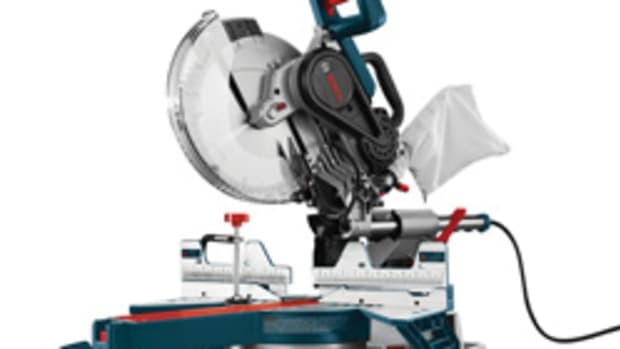 The saw also comes with Powermatic’s Accu-Fence. 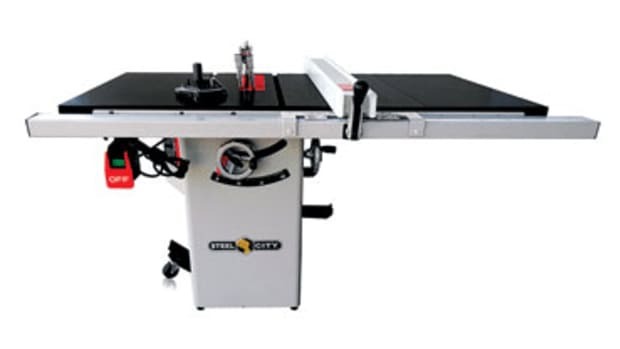 The face can be adjusted vertically to ride flush with the tabletop surface or rise just above it. The 30” model sells for $1,999.99, while the 52” version costs $2,099.99. Both are covered by the Powermatic’s five-year warranty.